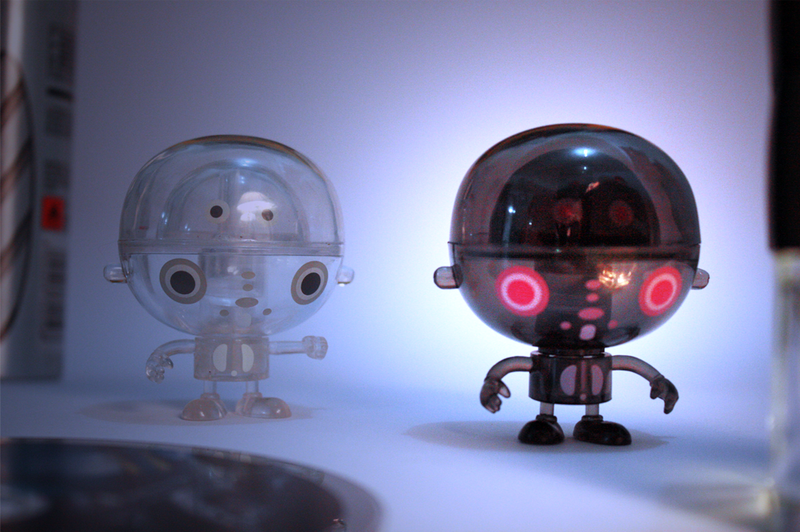 > French designer Rolito is at it again with this clear Rolitoboy that lets you see right inside his mind! They're quite unique. Nice shot Jaydee. Thanks for the Happy Father's Day. It's great being a Dad. very cool pic! These little guys are both adorable, but I have the feeling they could turn into something nasty on a whim lol! I love it! It's like he's standing next to an x-ray version of himself! thanks.... comments and visits are LOVED! love your series on these cuties! These are too cool!! Love them!!! !